For a stallion never supported by big numbers, Larneuk Stud’s O’Lonhro continues to do the job. At Cranbourne on Thursday the sire was represented by a particularly impressive debut winner in two-year-old O’Tauto who saluting at nice odds. 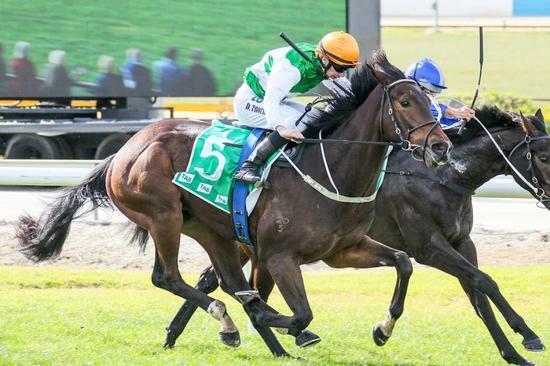 Taking on the odds-on pick Rock Tycoon, the Greg Eurell trained colt looked to have the job ahead of him following a tardy start, sitting wide most of the trip and then looking to be under pressure at the 600 metre mark. But responding to the urgings of Damien Thornton, O’Tauto began a run around the field from behind the turn and once balanced into the straight he began to charge at the favourite – putting his nose out right where it counts. “He is a horse we have liked all the way through,” trainer Eurell said post-race. Larneuk Stud’s Neville Murdoch, proud breeder and owner of O’Tauto, could not agree more.